We often forget who the most important people in the world are. We tell them that we hate them, but we don’t mean it. All of the time we love our parents, and we are going to be parents as well. Our learning experiences teach us lessons to support our family and friends. Don’t go to the edge by not caring for your parents. We should be positive role models for our sons and daughters. The smartest person is the happy and caring one, not the one who procrastinates. Positivism is the number 1 rule in our lives. A more mature family is healthy for all of us. Think of saying something first, before you regret it, if you don’t it’ll be too late for it. Sometimes we care deeply about little things, and it’s OK that you do, but the most important is the people that care for you. I love my family and friends, and care deeply for them. I don’t know what I would have done in my life without them. In my life I am a much better person, and it’s all thanks to my family. My parents turned my whole life around. You should do the same for yourself, and listen for the people who are closest to you. Most of this is my advice for all of you. I’ve always heard many people say that life is short, and they’re right, throughout our small problems and big problems come at the end brighter days. The days and years past and no one will care what you’ve done in your life, and always are the accomplishments that many people reward you for. But, it doesn’t mean you shouldn’t cherish your life, in my life I thank God for bringing me here for a reason. All the problems pass away, and will be long forgotten. It’s always the good memories that should be stuck in our minds. 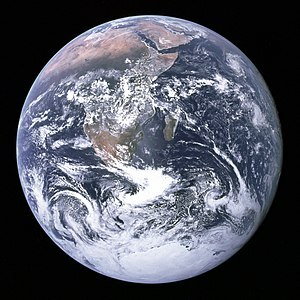 I think we should love Planet Earth for all it’s treasures, and be happy for it. The old sayings are brief to be happy for your own life isn’t long and rather simple. All you need to do is not to get angry for your past and just cherish the good past and yourself. We have dark pasts and memorable pasts. Put your mind to good use and use it for a career. The life is a happy one, but not a sad and depressed one. Think for a second that you’re smart and not stupid. Use your time and mind of a happy positive lifestyle. Don’t bring the problems into your life. See yourself for who you are, and not by what people think you represent badly. I haven’t had that saying and it’s new to me, but I have it as an old saying. The role model is important so you won’t get stressed out on your image of life. Have fun and be happy. Peace. The black and white striped cat was trapped in an alley against a ferocious pit-bull and is in danger of getting killed. The dog was ready to make mince meat out of the cat, but the cat has something that the dog hasn’t. The cat quickly concentrated on it’s eyes by making force and stared into the pit-bull’s eyes, than red lasers came out of the cat’s eyes into the dog’s eyes. Suddenly the dog feels pain in its eyes and starts crying barking out loud, it’s soon started dying once he blew up in an explosion. Soon the pit-bull is dead into tiny pieces, and all that’s left was its bones, and the cat grabbed the leg bone of its dog and declared victory. The blood was all over the alley, but the cat is wanted because it once killed animals and humans with his laser eyes. All the people of Los Angeles, California were terrified of this cat that they didn’t know where to go. The cat comfortably went where it pleases to go. Once it went to a fancy restaurant and ate some of the food inside the kitchen prepared for the humans. The chef was angry at the cat he went to grab him. But, the cat quickly saw the chef into his eyes and stared at him making him feel pain is his eyes and body. The other chefs quickly ran out and warned the visitors to get away from this evil cat. The chef in charge inside the kitchen felt like he’s soon going to explode and then it happened there’s a blood bath in the chef’s kitchen. The cook called 911 for an emergency, but the cat was quickly gone. The nightmare ended for a while, but there’s more to come. The cat felt like a king of this city and rightly so. The black and white striped cat saw a few dogs chasing him and didn’t budge. He stared into all the dogs’ eyes and killed them one-by-one. It looks like they’ve exploded with dynamites inside of them, but it’s the cat’s eyes that do the evil work. Soon there are no dogs in sight and what’s left is the blood spattered in all the walls, the body parts flown all over the place, and the bones on the floor broken piece-by-piece. Later, the police investigated on this cat, and started to get information from people, and they’ve told them they’ve seen this cat before. The cops know what its eyes are capable of doing. They took this matter seriously and the cat soon is a wanted criminal. The people of Los Angeles, California no longer had cat pets of their own, but those who have dogs are worried that this cat would kill their lovable pets. The people went in vacation with frightening confrontations that they could face the cat once again. The cat was in vacation also walking along the Hollywood Hall of Fame where the celebrities have their names on the sidewalk. The cat wanted to kill some people along the way, and so he did along the way. Soon all the people taking their vacation ran for their lives. The police force were there, because one actual person called them for emergency again. The black and white striped cat ran for his cover, but the police force went on chasing him. The cat has caused a lot of traffic accidents while running. The police didn’t know what to do, because the cat threw laser beams with its eyes everywhere, but he once looked at a stranger with a gun that has a silencer. The cat was quickly scared. So the cat stared into his eyes, but the man didn’t stare back. So he put the silencer on the gun and shot the black and white striped cat several times. Soon the cat once is now dead and no longer a threat to anyone. The stranger was called Ryan Hope, and he’s now in the further future the heroic legend of California. But, these Californians won’t count out a single cat that has evil eyes that could actually kill humans and animals. And that’s the legend of the black and white striped cat. Yoko Ono is staying in her home alone always thinking of her lost love John Lennon. She wishes he would come back, but can’t seem to do it. Right now she is watching her favorite show eating Chinese food. But, it’s not the same without John around. Outside of the New York streets John Lennon walks around the sidewalk as a ghost, which no one sees. He some of the time sees Yoko walking outside and starts to cry out for her, but she doesn’t listen. The stalker did this to him, and wondered why he would kill him, being part of the Beatle’s legacy. He heard that his killer is in jail, but wanted to argue with him face to face. John realizes he can’t do it. “Boy, things have changed so much while I no longer am living.” John said. Walking the steps of the sidewalk people pass through him when they walk to get somewhere. “Hey, that’s where John Lennon got shot!” Frankel said, when he points to the alley between apartment buildings. John suddenly heard this and quickly went to where the kid was pointing.”That’s right son! Some wacko killed that musical genius. Sad,huh?” dad said.”Yeah, poor soul.” Frankel replied. John saw how they felt about his death, but he couldn’t tell them himself. Suddenly Yoko Ono walks outside of the sidewalk to go somewhere to shop. John saw her and screams at her to get her attention. Yoko heard and saw behind her back, but no one was there. The ghost suddenly realized that she could listen to him. Yoko thought that she’s going nuts and probably needs to forget that awful killing of her late John Lennon. She ignored it and went walking to her destination. John decided to walk with her, and held her hand. She felt John’s hand and thought that she’s finally with him once again. But, she slipped out of his hand and soon forgot the craziness she felt and heard. Instead she put he hands inside her coat pockets on each. Is it my lover John Lennon trying to talk to me? she thought. No it isn’t happening and people will laugh at me if I realize it, she thought again. It soon sunk in to John that he’s really not living anymore, and he’s been walking these New York sidewalks ever since his assassination. It’s sad being John Lennon the deceased. Before George Harrison used to tell him that it’s no use talking to living people, because most of them don’t believe in ghosts. But, John quickly disagreed, and George knew that John would disagree with him. The two deceased Beatles are no longer part of this world, and have been in Heaven for most of the time. John put his head down lightly feeling in sorrow, but his special gift is to only look after her. 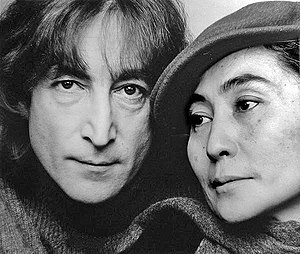 He doesn’t anymore have the power to protect her of any harm done to Yoko Ono. I guess that’s the curse of being dead. In a few days later Yoko Ono came back from the gift shop and walks back to her apartment. John Lennon sitting down the steps stood up and saw her. He was happy that she’s happy of what she bought. In his mind the song “Woman” came to his mind and started to weep once she goes up to the steps and then closes the door. John went inside to follow her. She checked the mail and realized she’s depressed the awful killing of her husband and needed therapy. She was in her home apartment and went for a quick sleep. John went to cozy with Yoko and hugged and slept with her through the entire night. A week has passed and she went to serious therapy to forget about it. Her therapist asked her of how she felt before, and Yoko quickly explained about it. “Oh, then you did the right thing. Have you tried to buy self-help books like The Secret to help you with this problem?” the Therapist asked. “I didn’t think of that. But, what do you think?” Yoko asked. “I think I’ll put you on pill medications.” the Therapist said. The therapist counseled to her that every women has these problems of their late husbands and it will take time to let it pass. She says that it’s never easy to bypass something horrible as the assassination of someone’s lover. Yoko Ono was very pleased to have a consult with her therapist, and now has pills for her medication she now has to take. Soon it started to rain, and luckily she got out an umbrella and used it to walk to her car. “She still didn’t forget me.” John said to George Harrison. “Do you think her and I have a chance together again?” asked John crying. John got frustrated about it, and wanted to reason with George that he’s wrong, but decided not to for it’s a losing battle. “No! You go without me.” John said. Then George Harrison went to the stairs to Heaven to get much needed rest. John knew the way home to Yoko Ono, and wanted to appear before her eyes, and talk to her. Yoko took her medicine pills, and knew she was seeing things. John was right behind her, and Yoko soon heard the bell ring several times. She went to get the door for, which it is who, want to see her, and once she opened the door it was Sean Lennon with his wife. Yoko was happy and hugged her son and welcomed them in. Yoko rapidly strokes a conversation with both of them about life. “I’ve always wanted to go there.” Yoko said. “Maybe, one day we’ll take you there. It’ll be fun.” Sean said. They’ve talked for a few more minutes and then Sean and his wife left home saying goodbye to his mom. Yoko headed right to sleep since it’s now almost reaching 11:00 night. John slept with Yoko Ono once again to feel her comfort. Yoko turned around and slept by John Lennon’s side. It was morning and Yoko Ono woke up and saw John Lennon in the flesh. She closed her eyes to sleep to think of it as a dream, then she opened her eyes, and saw him again screaming as she thinks this isn’t happening for her. “John you’re dead! I’ve gotten over you a long time ago!!!!! !” Yoko screamed in aghast. “But, sweetie I’m back alive! Just like you always wanted!! !” John said happily. “Don’t you want me? The crazed fanatic had it coming, and he’s in jail for killing me, that buffoon ” John said. “That was settled long ago.” Yoko said. “That can’t be. You’re a figment of my imagination.” she said. “I’m not a figment of anyone’s imagination.” he said. She tried to run through John Lennon and only dropped him to the floor. John Lennon is now a human being twice this time. He was laughing. “What’s so funny?” Yoko said seriously. “Nothing, my love.” John said. Yoko was in total shock, and she promised not to talk to the dead herself, but she’s talking to one now. John stood up, but Yoko was sitting on the floor trying to make sense of all of this. John Lennon was truly happy that he’s with his one true love Yoko Ono once again, and promises not to blow this one up, which he never had. She got up and started looking at John touching his entire face. “Why are you doing that?” He asked. “Woof!” John yelled like a dog. Yoko got frightened, jumped, and screamed. John gave her a loving hug. Both of them talked about bizarre situation and have now settled it. The next day they went to the beach and had lots of fun, but people couldn’t believe this is actually John Lennon. Instead fans start saying that it’s a decoy of John Lennon. Yoko and John didn’t like the situation and wanted privacy, soon everyone started asking them for autographs, and they both were delighted to give it to them. All their fans were puzzled about the decoy’s autograph is exactly the same like John Lennon’s, the other day John and Yoko were on a honeymoon since his death 30 years ago. The next few days they went to Los Angeles, which they befriended Paul McCartney. Paul couldn’t believe that it is the actual John Lennon itself, and the people there still think it’s a decoy. But, Paul believed John, and to him it’s worth the honest truth. Paul invited both to his home to meet his new wife, and they accepted. At home they were all talking about the good times when they were The Beatles. “Yeah. But, going to Miami is fun, and people there are friendly.” Paul said. “I think so.” John said. “This Miami is it nice there?” Yoko asked. “Why, yes. I’ve went a couple of times there. You’ll both love it, and the fans love famous people like us.” Paul said. Outside George Harrison spotted John with a chat with Paul, and started to look at him. John saw him, and George signs him the time he needs to go back to Heaven for rest and to share his glory with God. John signaled him not right at this minute, but he knew God was frustrated of all this happening. You see to God it wasn’t fair that he would come back, because he believes you could only live only once, but John did the opposite. And so John ignored George and kept talking to his friends and his wife. “John it’s time to come back,” George said in John’s mind. “Not now! '” said John to him in his mind. “OK, suit yourself,” George said in John’s mind. Mr. Lennon didn’t become comfortable with being on Planet Earth, and started to think of coming back to God. Well, this was what he wanted. Later on, John Lennon was in a lot of interviews of channel stations in shows. Some hosts started to ask him if Jesus Christ would come back, because of the apocalypse coming. John started saying he couldn’t answer that question to the fullest, fans of his started to understand that it’s God’s matter. John and Yoko were in a lot of shows, movies, and even super bowl commercials. But, John wanted to come back to Heaven for his rest, which fans didn’t wanted him to leave ever, and even people involved in the entertainment industry. He understood how this world would be so cruel to people of this nature. After all that he stayed in the apartment with his wife at New York. They slept through a few years with each other. But something is rather odd that John would live two lives with the same body. He knew what he’s getting into, but he wouldn’t blow this for anyone and even himself, after all he’s a big name, and the group is a big name as well. One night they were asleep John woke up and started to think of going back up above, and to write a letter for his love to understand that this is how it’s got to be. Yoko got over the tragedy of her husband years ago, and this clearly was the wrong time and date of coming back to her. John started thinking a lot of all the sweet pleasures his love gave and how she means to him. He clearly believes now that he couldn’t stay here much longer. So, he sat on a chair and started typing. I can’t be with you anymore, and I clearly understand that you’ve gotten over me. I knew that when I was no longer here at that moment with you was very painful for you, my friends, family, and me but it’s time I come back to Heaven. And my sincere apologies for barging in this moment of your life, but I wanted to be with you of what it would’ve been if I’ve haven’t got shot by that lunatic driven mad. I understand that things are different now, and that you still love me, and that you’re happy that I’m in a better place. Through my second life I’ve enjoyed every minute of it, and I’ll never forget it. My life will never be normal, and my fans have to understand why I need to go back to Heaven, where the doves are my dear. This time I’m saying my goodbyes to you all. Don’t forget to tell this to people I’ve had conversations with and they do need to understand for it will be painful for them once again. Goodbye, to you all. John saw a passage of stairs to Heaven and saw George by the few steps. “You did the right thing for once. Let this be a lesson to never interfere with God’s plans, but he forgives you, which he now understands why you did this.” George said. OK, I’m coming.” John said as he walked alongside with George Harrison, and soon as they both waked up the stairs the light began to die out only leaving the letter to Yoko for her to read. She woke up and started calling out John’s name, but to no avail, then she quickly went to all the places in he home to find him. Until, she saw the letter John wrote for her to understand his position he put himself in. She read the whole thing and after she finished she tearfully cries, but soon she understood. “Thank you, John for coming back and yes I understand.” she said facing up at the roof. And then she started to feel positive about herself for all the wonderful times John gave her in his second life. A few weeks later the world learned of why John Lennon went back to Earth and left to go back to Heaven. But, the world will always love having him the second time around in his second life as himself again. It was in all the newspapers of John’s journey back to the USA, but the other countries never had the time to spend it with him, which they did, even if he wasn’t there. Yoko Ono, friends,and family shared the fun times with John Lennon again on Good Morning America. The world was one again.